To Keep or Change Your Name? A marriage is a long-term relationship that becomes a part of our identities. Your spouse is your lover and friend, you are parents together, and your extended families and friends all blend and overlap. For many women, marriage also came with a name change. This is how you are legally known, how many of your friends know you, or how you have come to be known professionally. It is therefore a common dilemma for women to struggle with the decision whether to change their name upon divorce. Should You Keep Your Name? There truly is no wrong answer to this question, as you must decide for yourself. 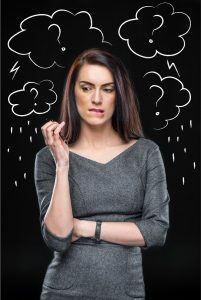 One reason that some women choose to resume a former last name is because they do not feel that their married name reflects their identity anymore. They feel like it is their ex-spouse’s last name and no longer want that name. Others disagree, and feel like they have assumed ownership of the name and wear it proudly. Some choose to keep their married last name because they have built a career with that name and do not wish to confuse people or notify every professional contact they have of their name change. At the same time, many professional women change their last names and do not find it to be an insurmountable task. In addition, some choose to retain their married last name because they want to have the same last name as their children. However, it is also very common for mothers to have different last names as their children after a divorce, and find that the different name does not impair their relationship whatsoever. If you choose to change your name back to your former name, you first complete an Application of Resumption of Former Name. This should be filed with the civil clerk at your local courthouse along with a copy of your divorce decree. You are permitted to resume your maiden name, the name of a deceased husband, or the name of a former husband with whom you have more than one child. When you have resumed your former name, you must notify the Social Security Administration and submit Form SS-5 to obtain a new social security card. Further, your tax return must match the name the SSA has for you. You must then obtain a new North Carolina driver’s license and U.S. passport that reflect your new name. Finally, identify and provide notice to all relevant companies of the change, including your employer, your bank, your utility companies, your credit card companies, and anywhere that you have an account or membership. Divorce can feel like a great unknown; however, it can help tremendously if you have a lawyer on your side. The attorneys at New Direction Family Law assist clients with family law and child custody matters and have proudly helped people find their way through their darkest hours. We want our clients to be fully informed throughout this difficult process, as this knowledge builds confidence. 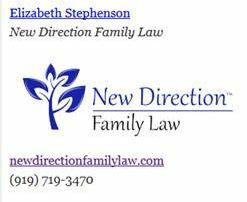 If you have questions about separation or divorce, you should call New Direction Family Law today at (919) 719-3470 to set up an appointment or visit us at our website.